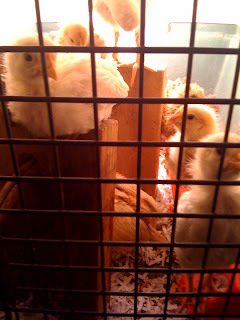 life of another mama: they grow FAST!!! 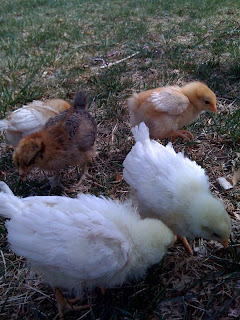 This is the chicks playing outside last week. And here are some pics from today. 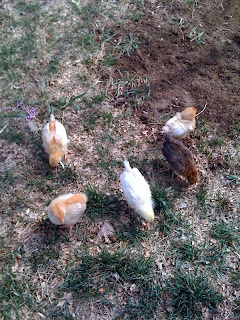 As soon as we get a heat lamp, they get to go outside! 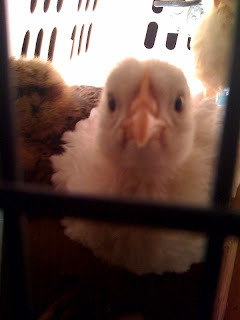 I miss having little chicks around my home. I also miss the eggs I was able to eat fresh. You will have so much fun with them! Amazing husband, 6 kids at home, 3 kids not at home...living the dream! Get the In the Kitchen with Another Mama widget and many other great free widgets at Widgetbox!